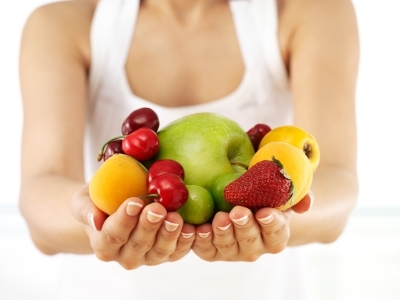 Nutrition is a crucial component in practically all successful wellness programs. Nothing is as important as healthy eating because it helps to nourish and rebuild cells and organs. Your body needs nutrients (food) and regular exercise to achieve its rightful health potential. Following a healthy food plan by recording in your food journal or food diary can help you maintain a healthy weight. The first step to healthy eating and fitness involves behavioral changes through food logs, food diaries and calorie counters. As the saying goes, eat breakfast like a king, lunch like a prince, and dinner like a pauper. A big balanced breakfast with fiber will start your day with energy to burn because it increases your metabolism and helps keep you feeling full longer. Also, eating slowly helps you not only enjoy your food but also gives you time to enjoy the people with whom you are sharing your meal. If you find yourself unable to restrict your caloric intake, keep a food diary and calorie counter and ask for half your meal to be boxed before they bring you the meal. Online Fitness Log can help you achieve fitness of body as well as mind. One of the rudimentary causes of chronic disease is poor nutrition. However, it is easy to follow some fundamental eating guidelines in order to improve your health and using a calorie counter or weight loss tracker can help you achieve your weight loss goals. As a general guideline, less packaging indicates more real food! Nutrition is important because without good nutrition, you cannot achieve good health and without your health, you have a poor quality of life. Therefore, nutrition is life realized! Sign up for your Online Fitness Log account now!